There’s something to be said for fighters who can capture the attention of fans and hold it for substantial amounts of time. Whether we are talking about Brock Lesnar, Ronda Rousey, Anderson Silva, or others, there’s a very small list of fighters who keep fans captivated with everything that they do. And whether some want to recognize it or not, Nick Diaz and Nate Diaz belong on that list. With Nate’s recent reemergence in the UFC lightweight title picture, it’s clear that the brothers are fan favorites in a way that will never change. 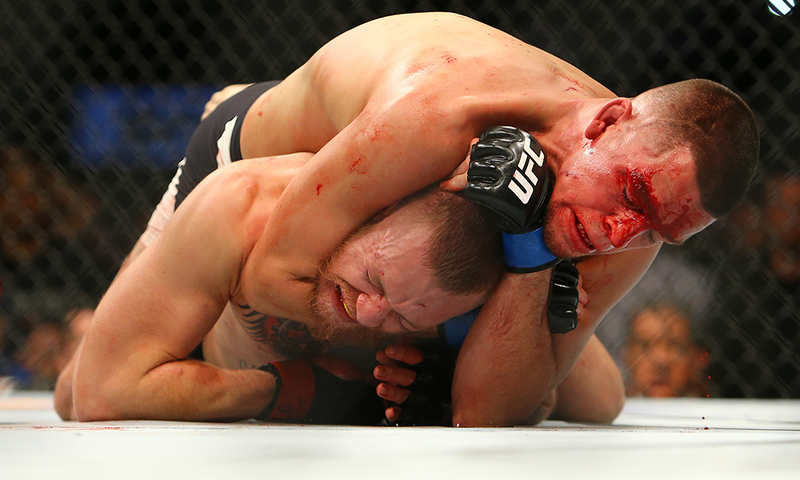 35 and 33 years of age respectively, Nick and Nate Diaz are two names that will not go away. Fans continue to wait with bated breath for both men to return to the Octagon. While the rumors of Nick’s return are just that, Nate is linked to an upcoming fight against Dustin Poirier at UFC 230. Now, according to Nate’s recent social media posts, it doesn’t seem like he’s too interested in that fight, but most are taking those denials with a grain of salt. So after nearly two years away from the cage, Nate immediately returns to the lightweight title race, regardless of whether this is a position that he deserves. Does this undermine the idea of rankings within the UFC? Of course, but that was done long ago. 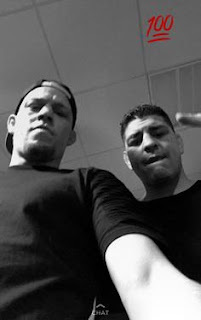 However, what makes the Diaz brothers special is that they seemingly don’t need to consistently win in order to remain popular icons in the sport. 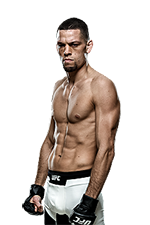 Nate has two important wins in recent memory – a 2015 victory over Michael Johnson, who is no longer in the lightweight division, and a 2016 win over Conor McGregor, the former lightweight and featherweight champion's only defeat in the Octagon. Nick’s recent Octagon record is even worse. He hasn’t won a fight since 2011, when he defeated a deflated BJ Penn at UFC 137. Yet and still, fans continue to clamor for his return to the cage. The question for the UFC is, after three years away from competition, can he be thrown into any fight and have the kind of drawing value that the organization needs right now? As the promotion continues to struggle to draw ratings and pay-per-view buys, with each card seeming to push the bottom lower and lower, the company is actively seeking to build new stars on the backs of some of its older ones. From that perspective, Nick’s value is there, even if it’s hard to see him as a title contender in any shape or form. Regardless of their lack of recent competition, or lack of recent wins, that will not stop fans of the Diaz brothers from pushing for their respective returns to the Octagon, and getting excited about any bit of news in that regard. Nick and Nate's attitude, fight style, and antics outside of the cage seem to be enough to keep them relevant and worth talking about in the mixed martial arts space. Whether or not that interest translates into ratings and PPV buys remains to be seen, but we should be certain that when the Diaz brothers make their way into the Octagon again, all eyes will be on them. 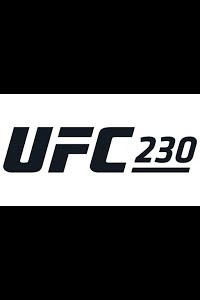 UFC 230 takes place November 3, 2018 at Madison Square Garden in New York, New York.